Center for the Study of Technology and Society. Challenger Center for Space Education. 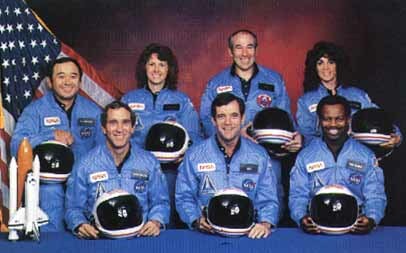 5 Myths of Challenger Shuttle Disaster Debunked. Remembering Roger Boisjoly: He Tried To Stop Shuttle Challenger Launch. Online Ethics Center for Engineering and Science. President Reagan's Address to the Nation: K-12 TLC Guide. U.S. Government Printing Office (pdf). McAuliffe, Christa: K-12 TLC Guide. McNair, Ronald: K-12 TLC Guide. Space Shuttle Children's Trust Fund. K-12 TLC Guide to Journalism.